An Oregon truck accident caused the death of a 26-year-old victim after a semi-truck pulling a trailer reportedly hit the young man’s vehicle from behind and drove over it. The victim’s Acura was crushed and pinned beneath the semi truck, which then proceeded to rear-end another truck after rolling over the car. According to KATU, the accident happened at around 5:00 p.m. 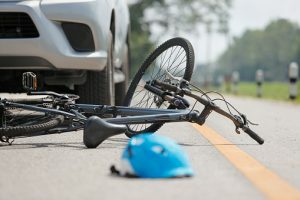 It is unclear at this point exactly how the accident happened, although there will be an investigation and the family of the victim may wish to speak with a truck accident lawyer in Portland, OR for information about how the law will apply to the crash. In many cases, when an accident involves a large truck, it often turns out that the truck driver did something negligent or careless that caused the crash to happen. 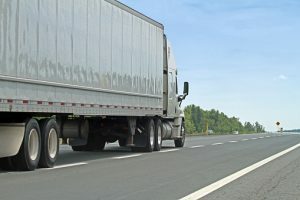 The Federal Motor Carrier Safety Administration (FMCSA) imposes strict regulations to try to prevent dangerous truck driver behavior, but the regulations are often disputed. One recent disagreement that led to a court battle this past August centered around hours-of-service times. While the court largely upheld the FMCSA’s ruling, debate continues between truck industry groups and safety advocates, each of whom dislike the new hours-of-service rules for different reasons. Hours of Service Rules Should Help Prevent Accidents- But Do They? The new FMCSA hours-of-service rules set the maximum number of hours that a driver can travel at 11 hours per day. The total amount of driving needs to be done within 14 hours of the time that the trucker came on duty. In addition to the daily limit, there is also a weekly limit as well. A driver who has worked for a period of 60 hours for seven days or 70 hours for eight days must stop and rest for at least 34 hours before getting back on the road. The hours need to be continuous and completely off duty, and the driver must be home and not on duty for at least two periods of time between the hours of 1:00 a.m. and 5:00 a.m. It is this weekly limit that many professional truck groups object to strenuously, arguing that this significantly interferes with the autonomy of truckers and that the new regulation will force truckers to travel more often at higher-traffic times rather than off-peak times. Safety advocates, on the other hand, are not worried that the FMCSA is going too hard on truckers. To the contrary, safety advocates suggest that the FMCSA has not gone far enough with its regulations to protect the public. These advocates warn that a trucker is likely to be really tired after 11 hours and is at risk of a drowsy driving crash or a distracted driving accident if he starts to zone out and stop paying attention behind the wheel. As advocates debate these issues, however, the regulations are here to stay and should remain unchanged for the foreseeable future. Only time will tell as to whether these stricter hours-in-service limits make a difference in reducing the number of truck accidents that occur because of drowsy driving.